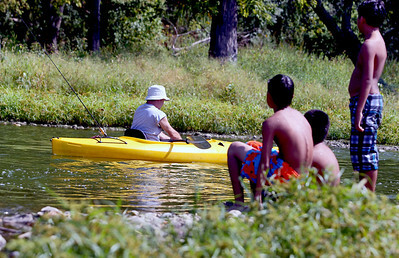 Sarah Nader - snader@shawmedia.com Raul Hernandez, 11, of Carpentersville swims in the Fox River while enjoying Labor Day at Cornish Park in Algonquin on Monday, September 3, 2012. 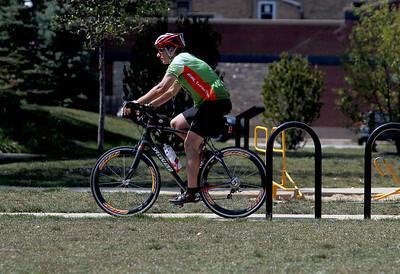 Sarah Nader - snader@shawmedia.com Greg Cadieux of Lakewood rides through Cornish Park in Algonquin during a 52 miles bike ride he was taking on Monday, September 3, 2012. 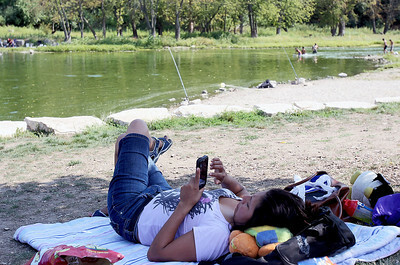 Sarah Nader - snader@shawmedia.com Rubi Vargas of Carpentersville relaxes while enjoying Labor Day on t he side of the Fox River try at Cornish Park in Algonquin on Monday, September 3, 2012. 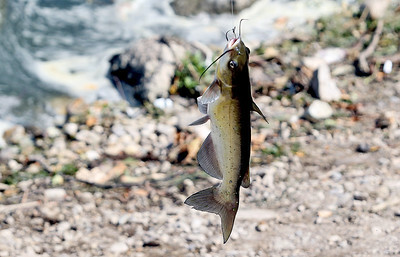 Sarah Nader - snader@shawmedia.com A man catches a fisht while fishing in the Fox River while at at Cornish Park in Algonquin on Monday, September 3, 2012. 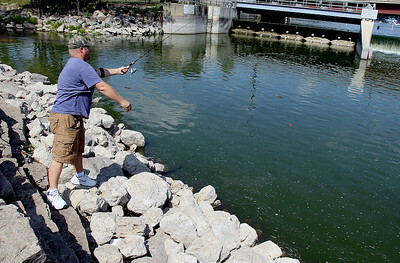 Sarah Nader - snader@shawmedia.com Bob Mills of Cary casts his fishing poll into Fox River while fishing at Cornish Park in Algonquin on Monday, September 3, 2012. Sarah Nader - snader@shawmedia.com Pat Kirmse of Crystal Lake floats down the Fox River in Algonquin on Monday, September 3, 2012. Cornish Park in Algonquin was packed on Labor Day with people fishing, swimming, biking and picnicking along the Fix River. Sarah Nader - snader@shawmedia.com Irbin Bernal (left), 12 and Raul Hernandez, 11, both of Carpentersville try to swim against the Fox River current while enjoying Labor Day at Cornish Park in Algonquin on Monday, September 3, 2012. 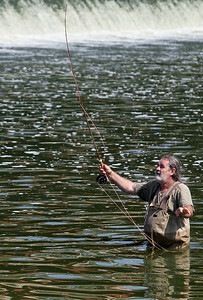 Sarah Nader - snader@shawmedia.com A man fly fishes in the Fox River at Cornish Park in Algonquin on Monday, September 3, 2012. 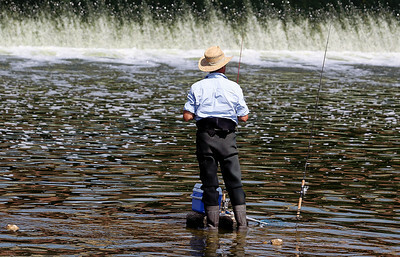 Sarah Nader - snader@shawmedia.com A man fishes in the Fox River at Cornish Park in Algonquin on Monday, September 3, 2012. Sarah Nader - snader@shawmedia.com Rubin Rojas (left), 13, Joe Lara and Daniel Mcilvain, 13, all of Carpentersville, try to swim against the Fox River current while enjoying Labor Day at Cornish Park in Algonquin on Monday, September 3, 2012. Sarah Nader - snader@shawmedia.com A group of boys watch as Tom Kirmse of East Dundee floats down the Fox River in Algonquin on Monday, September 3, 2012. Cornish Park in Algonquin was packed on Labor Day with people fishing, swimming, biking and picnicking along the Fix River. 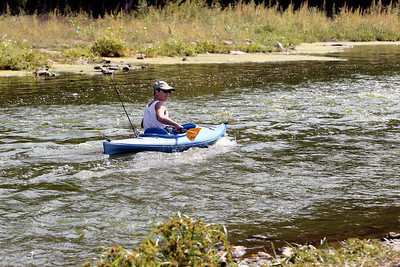 A man fly fishes in the Fox River at Cornish Park in Algonquin on Monday, September 3, 2012.